Tired of nagging, fighting, and blaming your children to get their chores done? You want to have your child clean their room, help around the house, and pick-up after themselves without fighting. Children need support and reminders, yet you are tired of reminding them and nagging. So what’s a parent to do? Create a chore chart! 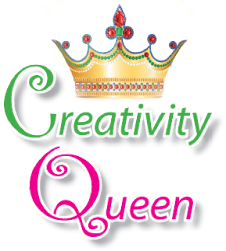 Being a true Creativity Queen I’ll share with you how to help your child be more invested in getting their chores done, how you can quit nagging, why most chores charts fail, and what you can do instead to have a success in helping your child become responsible for their chores. You can quit nagging your child when you create a chore chart that your child will actually want to do. Here are some ways to help your child become invested in their chores (so you can stop nagging). Know what your child can do by themselves and what they may need help with. Depending upon your child’s age and abilities they can put clothes in their hamper, take out the trash, put away the dishes, and/or vacuum their room. Be specific. Regardless of a child’s age write down clearly what you want (teens love to say I didn’t know that’s what you wanted). So instead of saying clean your room,write down pick up your clothes off of the floor and put them in the hamper. Younger children may have fewer tasks, and older children may be expected to do a chore daily, write this down on the chart. Add customized flair and words and images to their chart. Younger creative children can draw images of their chores and add it to their chart, this creates an investment in the process. Encourage your child to get crafty, use magazine pictures, markers and glitter and create a customized chore chart with each child that they are excited to add to their wall. Allow your child choices with what day they will do each task. Add it to the calender and be clear on when you want it done by (older children may need a clear time written down, and you may notice they’ll wait until the last minute to complete what is requested of them). Come up with an agreement on how you will remind them. Younger children may need multiple reminders, older children may just want one, teens may want you to leave them alone. Get clear on how you should remind them, if it is necessary. Here are some reasons why chore charts don’t work. Your child is not invested. They don’t care about chores, but they do care about other things such as electronics. Make an agreement that they will earn time doing things they enjoy when they complete their chores. Older children may need this in writing (they tend to be lawyers and look for the loopholes, so write out your expectations and consequences clearly). Finally, the reason why chore charts don’t work is because you stop following through. Life is super busy, so another “do to” added to your list easily becomes forgotten a few weeks after you begin. It’s easier to just pick up the laundry off the floor than to follow the chart and give a reminder, or you just plain forget. Make it a priority, you’ll spend less time arguing about chores and more time enjoying each other, and isn’t that what every parent wants?